Burj Khalifa, Burj Al Arab, The Palms, Atlantis, Aquaventure, The Desert, The Dubai Mall, Mall of the Emirates, Dubai Fountains, Dubai Aquarium, Jumeirah Mosque, Dubai Creek, Dubai Museum, Bastaki Quarter, Gold Souks and so much more! The spectacular capital of the UAE, Abu Dhabi is a modern city by the sea and surrounded by the Arabian Desert. This magnificent city boasts some of the most awe-inspiring buildings in the world, including the Shiekh Zayed Grand Mosque, The Emirates Palace Hotel, Aldar HQ Building and the Emirates Towers along with a stunning skyline filled with skyscrapers and a coast lined with beautiful beaches. Sheikh Zayed Grand Mosque, Heritage Village, Marina Eye, Marina Mall, Ferrari World, Yaz Marina Circuit, Yas Island, The Corniche, Emirates Palace and so much more! One of the seven emirates comprising the UAE, Fujairah is the only one with a coastline solely on the Gulf of Oman and not on the Persian Gulf. Home to the oldest mosque in the country and historical buildings such as the Fujairah and the Al Bithnah Forts, the Al Hayl Castle and the Fujairah Heritage village. A lovely place to sit back, relax and enjoy the gorgeous views provided by the Hajar Mountains and the crystal clear waters of the Arabian Sea. The perfect place for adventure seekers and people who're simply looking to enjoy an unforgettable experience in one of UAE's best kepts secrets yet! Top of the Middle East! Combine Dubai and Abu Dhabi with a Private transfer between cities. Rapidly becoming one of the world`s top travel destinations, Abu Dhabi, Dubai and the surrounding Emirates is where you`ll find luxury, style, adventure and the traditional Arabian warmth of hospitality and respect. 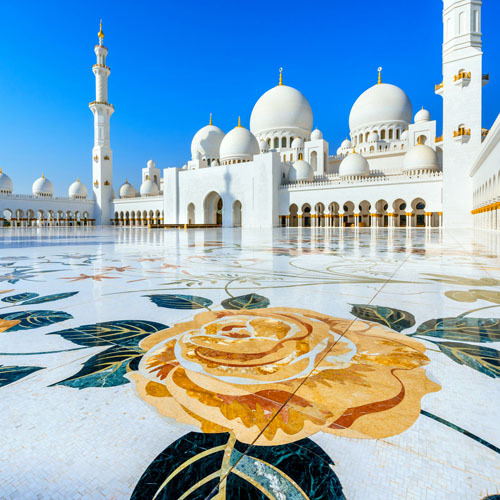 Warm weather, tranquil beaches, lush oasis, sweeping desertscapes, vibrant city life, ancient traditions and world-class events all come together to create the ideal United Arab Emirates vacation. This is a flexible vacation package to United Arab Emirates with daily departures from anywhere in the USA or Canada. Choose your length of stay. Pick your own flights, hotels and activities. Add, remove or reorder cities. 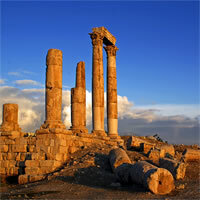 Combine Dubai, Amman and Petra with flight and intercity transfers. An amazing adventure awaits! Start this incredible experience flying into Dubai, filled with stunning structures, world-class shopping and vibrant nightlife. Visit The Emirates Tower, the megatall skyscraper Burj Khalif, and of course The Jumeirah Mosque, the most photographed mosque in all of Dubai. Up next, fly to Cairo, home to breathtaking and world famous pyramids. Visit the capital's medieval markets by Khan El-Khalili, or walk down the Nile promenade. This is a truly unique experience you won't want to miss. Then comes Athens, known as the City of gods, with the most glorious history in the world. You won't want to miss The Acropolis, one of the most astonishing ancient ruins. A trip to Athens is not complete without a visit to the impressive Byzantine churches. Among other hidden gems are Ancient Agora and Erechtheum, you will also love to visit the Temple of Olympian Zeus and Syntagma Square. Lastly comes Rome, which flourished as the center of the world at the height of the Ancient Roman Empire. Monuments such as the Arch of Constantine, the immense Colosseum and the Trevi Fountain are must see architectonic jewels. Everything you want to see in life!!! Begin this fabulous trip flying into Dubai, a luxury destination packed of stunning structures such as The Emirates Tower, Burj Khalifa and of course The Jumeirah Mosque, the most photographed mosque in all of Dubai. Combine this fantastic experience flying into Delhi and discover the immense contrast between New Delhi and Old Delhi, rich in historical sites such as India Gate, The Red Fort and The Lotus Temple. Finish this amazing getaway in Bangkok, packed of shining temples and buildings. Do not miss the chance to catch a tuk tuk along the bustling Chinatown or take a long tail boat... it surely sounds like something out of an exotic fairy tail. This is a truly incredible experience you won't want to miss. Discover three top world destinations! Arrive in glitzy Dubai, the city of high-rises, luxury shopping malls, and spectacular buildings. Do not miss the chance to visit Burj Khalifa, offering impressive views from its observation deck. Up next is Delhi, a unique melting pot of cultures, straddling the traditional and the modern. Visit magnificent structures such as Humayuns Tomb, Lotus Temple and India Gate, the first gate constructed. Last but not least is Hong Kong, the place where East meets West! Go to Hong Kong Disneyland, move on to the Lantau Peak to admire the view of the surrounding city skyline, or visit the world-famous Victoria Harbor. This is the trip you really deserve! Dubai and Mahe Island Highlights! 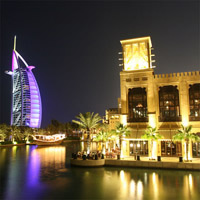 Explore Dubai, discover their enchanting attractions. In this city you will be able to visit the magnificent structures such as Emirates Tower; the Jumeirah Mosque, the most photographed mosque in all of Dubai; Dubai Mall, the world's largest shopping mall; Burj Khalifa, a megatall skyscraper and tallest artificial structure in the world; Dubai Fountains; Palm Deira, part a group of artificial islands; Marina, an artificial canal city; Burj Al Arab, the world's only 7 star Hotel and the third tallest hotel in the world. You can as well practice some sports in the desert! Then fly to the marvelous city of Mahe Island,the largest island of the Seychelles. Immerse yourself into this vibrant and lively place. Here visitors will find a wide range of beaches, such as Grande Anse Beach, Port Launay Beach, this breathtaking beach has a wide variety of colorful fish; Anse Source D'Argent, one of the most popular; Beau Vallon, a very safe swimming area; Anse Major, the best for snorkeling and swimming; experience spectacular sunsets of the beautiful beaches and amuse your stance here! Dreamlike Vacation! First arrive in Dubai and discover such a luxury destination, famous for its modern architecture and breathtaking landmarks. This captivating city offers a host of attractions and activities from desert safaris to world-class shopping. Up next is Abu Dhabi, the second most populous city of the United Arab Emirates. Visit the Sheikh Zayed Grand Mosque or go to Heritage Village which is a pleasant place to wander about. Combine this amazing experience flying into Delhi and marvel at the immense contrast between New Delhi and Old Delhi, rich in historical sites such as India Gate, The Red Fort and The Lotus Temple. Finally fly into Bangkok to bring this amazing experience to its end, this lively city is packed with stunning temples and palaces, exotic food, famous floating markets and a wide range of shopping options. From Middle East to Idyllic Beaches! Begin this fantastic trip flying into Dubai, a glamorous city featuring record-breaking architecture and an array of places to sightsee. Dubai's landmark building is the Burj Khalifa with its observation deck on the 124th floor from where you will be awarded with stunning views of the city skyline. 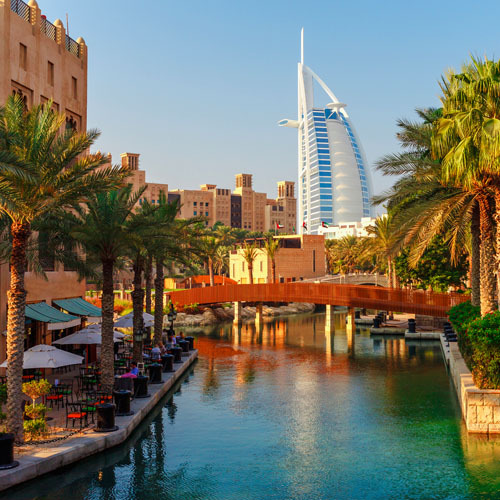 Take a walk around the Bastakia district to discover the Dubai of old, then go to Dubai Creek and take a ride across the water on a traditional abra. A trip to Dubai is not complete without a visit to the Palm Jumeirah, a man-made archipelago in the shape of a palm tree, where you will be able to see high-end hotels, private beaches and water parks. Combine this exciting experience flying into Phuket, the Pearl of the South, with its endless beaches and magnificent tropical sunsets. Sightsee Phan Nga Bay with its amazing lagoons and then go to old Phuket Town featuring fantastic shop houses and mansions. You cannot leave Phuket without a visit to the Big Buddha, located on the top of a mountain from where you will enjoy impressive views. Sought-after Holiday Vacation! Begin this fabulous trip flying into Dubai and explore such as a captivating city, famous for its modern architecture and astonishing landmarks including the Burj Khalifa offering breathtaking views from the observatory deck. Combine this fantastic experience flying into Delhi, where you will discover the immense contrast between New Delhi and Old Delhi, rich in historical sites such as India Gate, The Red Fort and The Lotus Temple. Up next is Bangkok, a dynamic city filled with an array of sightseeing attractions such as shining Buddhist temples, palaces and countless floating markets. Finish this amazing getaway in Phuket, the Pearl of the South, home to endless sandy beaches, blue waters, natural landscapes and exceptional food. This is a truly incredible experience you won't want to miss. Discover Dubai, Mumbai and Bangkok Highlights! First arrive in Dubai and discover this luxury destination that will provide you with a wide range of things to see and do. Visit the Burj Khalifa offering breathtaking views from the observatory deck, then go The Dubai Mall which features several dining and entertainment options including an indoor theme park and a huge waterfall. Up next is Mumbai, known as "the city of dreams", packed of an array of sightseeing spots such as the Gateway of India, Taj Mahal Palace, and Elephanta Caves. A trip to Mumbai is not complete until you visit the Marina beach and its colorful markets and bazaars. Last but not least is Bangkok, known as the "Venice of the East". The Grand Palace is the perfect sightseeing spot to start your tour, then go to neighboring Wat Pho which is home to the famous reclining Buddha. Next, across the river is Wat Arun (Temple of the Dawn), this amazing temple offers panoramic views of the city from the top. You cannot leave Bangkok without visiting Khlong Lat Mayom and Thaling Chan, the two most popular floating markets. Top World Destinations! Fly into Dubai to begin this exciting adventure, here you will find ultramodern architecture, world-class shopping, and a lively nightlife scene. Up next is Delhi, home to magnificent structures including India Gate, Taj Mahal and Qutub Minar, a UNESCO World Heritage Site. Continue your trip and fly to Bangkok, land in the colorful, exotic and pleasingly city! Visit the impressive sacred temples and get amazed by the authentic experience of the pioneer floating markets. Then fly into Phuket, a marvelous city where you can extend your horizons! Practice some water sports in the beautiful beaches they have to offer. Last but not least, fly to Hong Kong, the place where East meets West! Visit one of the biggest attractions, Hong Kong Disneyland or visit Lantau Peak to admire the view of the surrounding city skyline. Perfect combination of super cities! Begin this fabulous trip flying into Dubai, packed with impressive structure, lively nightlife, and world-class shopping. Combine this fantastic experience flying into Delhi and discover the immense contrast between New Delhi and Old Delhi, rich in historical sites such as India Gate, The Red Fort and The Lotus Temple. Then fly to Bangkok, home to magnificent temples and palaces. Catch a tuk tuk along the bustling Chinatown or take a long tail boat. Finish this amazing getaway in Singapore an ultra-modern city of soaring skyscrapers, high-end shopping malls, luxury hotels, and fine dining. This is a truly amazing experience you won't want to miss. Perfect city and beach combination! 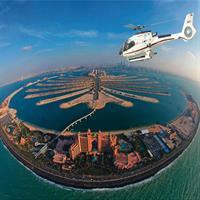 Begin this fabulous trip flying into Dubai, a luxury destination. Explore and visitEmirates Tower; The Jumeirah Mosque, the most photographed mosque in all of Dubai; Dubai Mall, the world's largest shopping mall; Burj Khalifa, a megatall skyscraper and tallest artificial structure in the world; Palm Deira, part a group of artificial islands; Burj Al Arab, the world's only 7 star Hotel. To Combine this fantastic experience flying into Mumbai, known as "the city of dreams", packed of an array of sightseeing spots such as the Gateway of India, Taj Mahal Palace, Chhatrapati Shivaji Terminus and Elephanta Caves. A trip to Mumbai is not complete until you visit the Marina beach and its colorful markets and bazaars. Then fly to Bangkok, The `Venice of the east`, visit Bangkok's most important landmarks includingGrand Palace, Wat Pho and Wat Arun. Do not miss to experience exceptional shopping at Chatuchak Weekend Market, one of the world's largest weekend markets where you will be able to buy just anything. Last but not least is Koh Samui one of the most idyllic islands in the world. Nestled in a large coconut grove amid hundreds of palm trees where you will find gorgeous luxury hotels and spas, plus countless beaches where you can swim, chill, party and dine under the moonlight with your toes in the sand. This is a truly unique experience you won't want to miss. Discover three fantastic Destinations! Arrive in glitzy Dubai, the city of high-rises, luxury shopping malls, and spectacular buildings. Visit Burj Khalifa, offering impressive views from its observation deck. Up next is Delhi, a unique melting pot of cultures, straddling the traditional and the modern. Visit magnificent structures such as Humayuns Tomb, Lotus Temple and India Gate, the first gate constructed. Continue your trip in Bangkok, land in the colorful, exotic and pleasingly city! Visit the impressive sacred temples and get amazed by the authentic experience of the pioneer floating markets. Last but not least is Hong Kong, the place where East meets West! Go to Hong Kong Disneyland, move on to the Lantau Peak to admire the view of the surrounding city skyline, or visit the world-famous Victoria Harbor. This is the trip you really deserve! From impressive city skyscrapers to stunning temples and beaches! Fly into Dubai to begin such a marvelous experience. Go to the Burj Khalifa, offering breathtaking views from its observatory deck, then visit the Dubai Mall where you will shop until you drop. Up next is Bangkok, blessed with multi-faceted sights and attractions including beautiful Buddhist temples, palaces and famous floating markets. Combine this spectacular trip flying into Chiang Mai, "The Rose of the North", famous for its history, culture and astonishing ancient temples such as Wat Phra That Doi Suthep, Wat Chedi Luang and Wat Phra Singh. Finally, to bring this exciting experience to its end, fly into Phuket, a true paradise for honeymooners, with its dreamy beaches and natural landscapes that will make you feel like staying there forever. Discover three top tourist destinations! First arrive in Dubai and discover its magnificent structures such as Emirates Tower and The Jumeirah Mosque, the most photographed mosque in all of Dubai. You can as well practice some sports in the desert! Up next is Abu Dhabi, packed of interesting places including Al Khatem, a beautiful stretch of a desert offering driving experiences that leave you invigorated and wanting more. Then fly to the marvelous city of Mahe Island, the largest island of the Seychelles. Immerse yourself into this vibrant place where visitors will find a wide range of beautiful beaches such as Grande Anse Beach and Port Launay Beach featuring a wide variety of colorful fish. Experience spectacular sunsets of the beautiful beaches and amuse your stance here! 4 Cities, 2 Countries, 1 Trip... Astonishing, luxurious and dazzling are words that describe Dubai perfectly, with its worldwide famous man-made islands and fabulous world's largest mall, this city will leave you wanting for more. Then is Abu Dhabi, cosmopolitan as it can be with its out-of-this-world architecture and unique skyline that will blow your mind. Then fly to Mumbai, or what the Indians affectionately call 'The city of Dreams', which is also the Mecca of Bollywood. Up next is Delhi, where the ruins of Mughal forts and medieval bazaars are scattered between office blocks, you can also visit the Akshardham temple or the Lotus Temple for meditation and marvel at their breathtaking buildings. An Unforgettable Middle East Experience! Fly into the marvelous and luxurious city of Dubai and enjoy its spectacular buildings and exciting shopping malls. You can also visit The Jumeirah Mosque, the most photographed mosque in all of Dubai. Then escape to Abu Dhabi, the second most populous city of the United Arab Emirates. Visit the Sheikh Zayed Grand Mosque, and then go to Heritage Village which is a pleasant place to wander around. Up next, fly into Cairo, the capital city of Egypt, home of The Great Pyramids of Giza and The Great Sphinx. Then catch a flight to Aswan, an ancient city in the south of Egypt, were you can learn more about the Nubian, an ethno linguistic group indigenous who originate from the early inhabitants of the central Nile valley. From here you will take a cruise across the Nile River to Luxor, the most important destination of the Southern Egypt, lying on the Nile Valley and home of The Valley of the Kings, with the famous King Tutankhamen's grave among others. Lastly, return to Cairo to end this magical trip in this vibrant and energetic city. Marvelous Ancient and Modern Places!